Cal Ripken Jr. has decided to retire at the end of the season. Why do folks always talk about aging gracefully and not hanging around too long but they never actually do it when the time comes? Is it because they don't realize that it's time? Or because they just don't want to let go? This is one of those cases were sports imitates life. 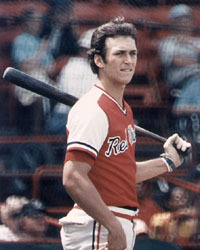 Case in point, future Hall of Famer Cal Ripken, Jr.
All-Star Game MVP and has a ring from the 1983 Orioles Championship. He's played for Hall of Fame manager Earl Weaver and with future Famer Eddie Murray. He became the consummate Oriole, playing his entire career in Baltimore, while many stars exploited the free agent market. He even had a dream come true playing for his father, Cal Sr., and with his brother, Billy. Where the fairytale went south is when Ripken decided he was going to hang on until he fell apart. Instead, he began showing some divisive traits like an unrelenting stubbornness to relinquish his shortstop position - even after a shoddy 22-error effort in 1997 - and staying in a different hotel than the team on road trips. After stepping out of the shadow of the streak in 1998, he should have called it career. He stepped aside because of a twinge in his back that eventually lead to back surgery in late 1999. Again, Ripken could have walked away. Instead, he came back and insisted on starting at third base while hitting an unflattering .239 combined in 2000 and 2001. Unfortunately, it dulls the luster of a truly great career. I'd like to remember Ripken as the great player that would put his team and the game above himself, instead of the recent ghost of Christmas past. I hope you can, too. Just so you know that I don't just blow smoke when I suggest players, here's a follow-up snapshot of my recommendations on 5/4/01. SP Willis Roberts (Bal): Also 1-6 in May and June with a 8.12 ERA; again, still a kid.